The Irrational Mechanics wiki is open to friends and collaborators, and partly open to the public. It contains several inter-related projects inspired by a positive attitude toward highly imaginative science and technology, including the Akashic Physics Roadmap (closed) and the India Awakens Conference (open). There is an open News page frequently updated with links and short summaries. The Irrational Mechanics wiki contains several inter-related projects inspired by a positive attitude toward highly imaginative science and technology. In particular, we try to write intelligently about important topics that are sometimes dismissed by the thought police as unPC (politically incorrect) “pseudoscience” (whatever that means). We also try to have fun and mercilessly ridicule the SJWs (Scientific Justice Warriors). The Irrational Mechanics wiki is associated with the Turing Church magazine and community. In mathematics, a rational number is defined as a number that can be expressed as the ratio (quotient) p/q of two integers p and q. At school we learn that the square root of 2 is a real number that can’t be expressed as the quotient of two integers. The square root of two – 1.4142… followed by an infinite number of non-repeating digits – is an irrational number. Other irrational numbers are π , the ratio of a circle’s circumference to its diameter, and e, the base of the natural logarithm. Deliberately mixing metaphors, we can define Irrational Mechanics as the future science of complex reality beyond current science. The wiki includes common MediaWiki extensions, templates, and modules used in Wikipedia, and can be used as drafting area for content to be exported to Wikipedia. Some pages are open for everyone to read, but only invited users have full read access and write access. If you wish to receive an invitation, please contact us. 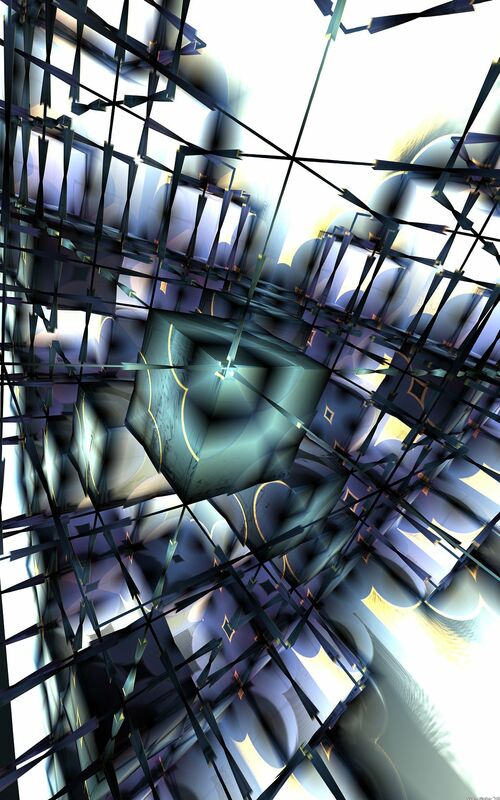 Image: Cubic, by S. Geier – an artistic vision of weird space-time physics. May God Bless You …Dr.Prisco. Though I am much younger to you and have no right to say this … we share a “Guru-Shisya” relationship and I am proud that the guru has gifted us this blessing called “Irrational Mechanics Wiki”, a store-house,library of Scientific Works.Thanks. Thanks Nupur! I have a (vague) understanding of what a Guru is but no idea of what a Shisya is ;-) Please illuminate me! (nice word though, sounds like sweet music). Remember that you can not also read but also edit all pages. Wiki syntax is very easy: if you want to create a new page called “Nupur Munshi” you just write [[Nupur Munchi]] in any page to create a link, then save the page, then follow the link to the new page, edit and save. If you want to create an external link you write [http://google.com/ Google] (remember the space). It’s very easy! Ok if I have time I will do it a page called Nupur Munshi but I think I will need your help. Ha..ha.. “Shysya” means disciple or student and of course the relationship is as sweet as music!! Ha ha . In fact, I have gone through the entire Irrational Mechanics Wiki and come to the conclusion that it is indeed a Guru’s gift of knowledge to his students and truly reflects the Guru-Shysya tradition. Please follow this link.https://en.wikipedia.org/wiki/Guru%E2%80%93shishya_tradition.